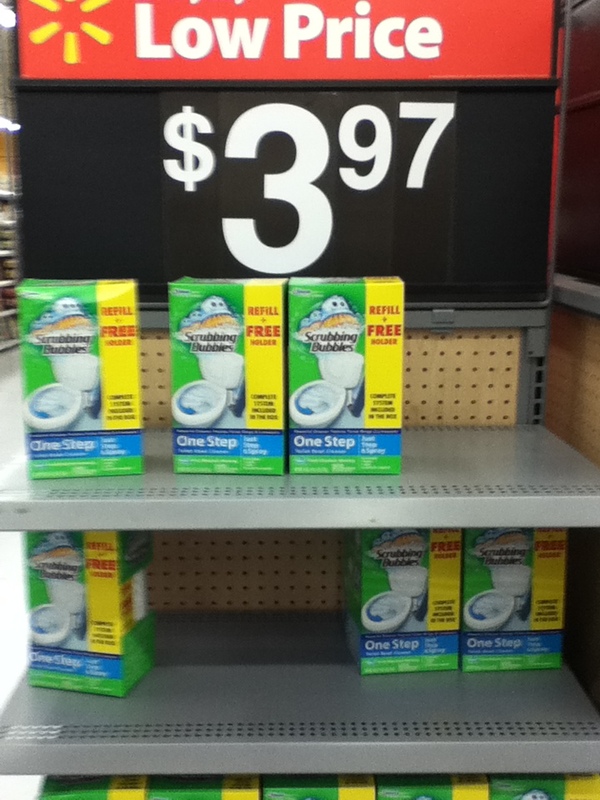 $0.97 for Scrubbing Bubbles One Step Toilet Cleaner w/ Coupon! $9.97 Value! Print out this coupon and the next time you're at Walmart, look for Scrubbing Bubbles One Step Toilet Bowl Starter Kits on Rollback to score an awesome deal! NOTE: Only the kits with the yellow stripe on the box will ring up $3.97! Thanks, Cuckoo for Coupon Deals for the deal and photo! A couple months back they ran these for the same price as part of an ad and they had $3 off 1 coupons in the box, actually they had 2 of them in each box so check your binders and you may have it if you bought some then. Walgreen's has them this week for $(.97 buy the kit and get a $3.97 refill free. Accepts the $3 Q on the kit and the $1 Q on the refill to make it $5.97 for both products.